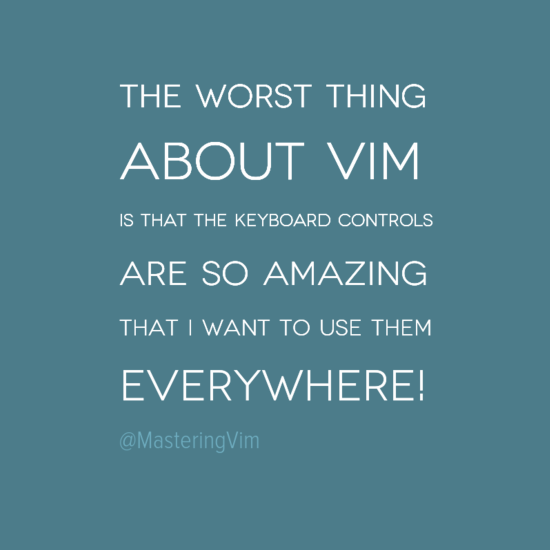 “The worst thing about Vim…”. Agreed! I often find myself typing :q, operators + motions etc. in other programs. The problem is not whether Vim is hard or not, the problem is that some command line tools (I’m looking at you Git) throw Vim at the face of unprepared users and it’s absolutely impossible to discover how to use it (or even simply exit it) from there, without letting them even th ability to know which tool they have been thrown into. If tools didn’t throw Vim at the face of thdir users without a manual or if Vim’s usage was more discoverable there would be no problem.